It has long been established that meditation is practiced by people who really know what’s good for them. Oprah swears by it, professional athletes recommend it, and studies prove that it’s one of the practices that simply have no negative effects. Allocating time in the morning or evening to really just focus on yourself and your breathing, and to think positively to attract good vibes from other people and the universe, can do wonders for your health. It’s like an instant retreat to a serene place where you can reinvigorate yourself without really having to go anywhere. Studies reveal that meditation can strengthen both your emotional and mental functioning; that’s why it’s one of the most recommended solutions for stress. 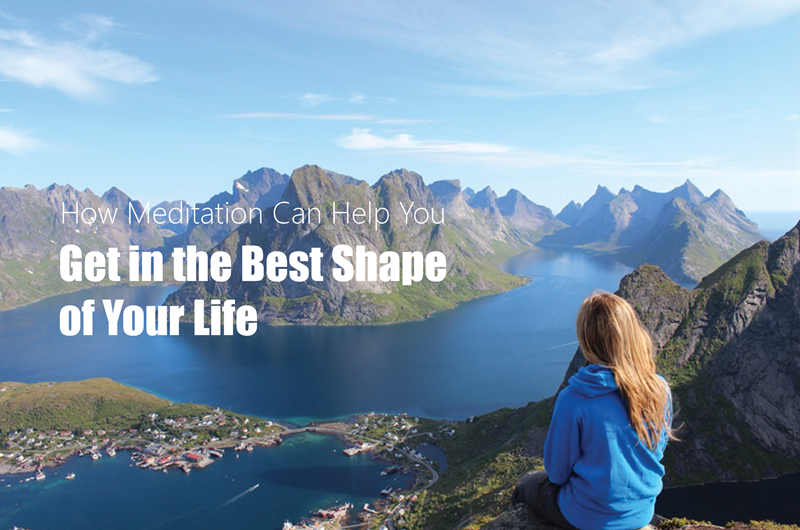 When you meditate, you breathe deeply and rhythmically, sending oxygen to your vital organs which then carry essential nutrients throughout the body to ensure smooth functioning, good metabolism, and proper cognition. Improved circulation through meditation is also known to halt the body’s release of stress hormones, adrenaline and cortisol which make you feel lethargic—and at times, even hopeless. Likewise, this practice conditions the mind to achieve goals, quieting down voices that typically discourage you from taking action, and turning your hopes and dreams into reality. It’s worth mentioning as well that meditating activates the law of attraction—you’ll be able to visualize the process that will take you to your fitness goal effectively. In doing so, you can execute the process you’ve envisioned correctly to witness the results taking shape in real life. Aside from these, meditation is good to incorporate into your workout routine. It’s a smart starting and conclusive activity for any rigorous physical training. The deep and rhythmic breathing performed can help relax muscles for the easier execution of challenging exercises; it can also help your body wind down after being pushed to failure. Additionally, if you like to incorporate chants when you meditate, you can create a mantra that can empower you or renew your mind to make your fitness program completely successful. Indeed, there’s just no discounting the positive impact of meditation, particularly in attaining fitness or health goals. It’s a practice that makes every effort toward the goal more effective. And the best thing about it is that it’s incredibly easy; there’s no special process to it, and it’s something that you can do anywhere and anytime you feel like it, and for every goal in life that you wish to achieve.